Did Condé Nast Call In Its Sweetheart Loan to Annie Leibovitz? Annie Leibovitz dug herself so deeply into debt that she was forced to mortgage her photographs to a high-end pawn shop to pay off her creditors. Who did she owe money to? None other than Condé Nast, her biggest patron. In December, Leibovitz borrowed $24 million from Art Capital Group, which makes its money by loaning artists cash and taking the rights to their work as collateral. When the artists fail to pay up, as artists often will, Art Capital sells the art to recoup. The loan isn't due until next month, but last week, Art Capital preemptively sued Leibovitz, claiming she was refusing to cooperate with the sale of her collection of photographs and homes in Greenwich Village and Rhinebeck, N.Y. The only way she will possibly be able to pay back the $24 million, Art Capital says, is by selling her homes and her catalog of photographs. But the Art Capital deal wasn't so much a loan as a debt consolidation. Leibovitz has taken out nearly a dozen loans on her homes in the last 15 years, according to mortgage documents on file at the New York City Department of Finance, and the deal with Art Capital consolidated them all under one handy debtor. According to a December 2008 mortgage document dated the same day as the loan from Art Capital to Leibovitz, Art Capital took over $15.5 million worth of various mortgages on Leibovitz's Greenwich Village and upstate New York homes. It was that $15.5 million worth of debt, one imagines, that drove Leibovitz into the arms of Art Capital. Which is why it's stunning to discover that she owed half of it to Condé Nast, which pays Leibovitz a reported $2 million a year to take pictures. One of the well-known perks of being a star talent at Condé Nast is low-interest mortgages guaranteed by the magazine giant's owner, Si Newhouse. According to this 2006 New York Observer story, more than "twenty Condé Nast executives, editors and even a couple of writers" have been loaned money to purchase homes by the company. In Leibovitz's case, two of the loans she has taken out over the years were from a company called Rhinebeck Properties LLC which, according to this document that handed over Leibovitz's debt to Art Capital, is based at Condé Nast's famous 4 Times Square address. The document is signed by John Bellando, Condé Nast's chief operating officer. 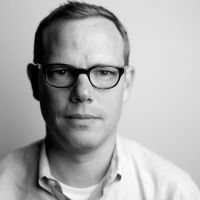 Another person who's benefited from a Rhinebeck Properties mortgage is Condé Nast editorial director Tom Wallace. Rhinebeck Properties held two mortgages on Leibovitz's homes: A December 2006 mortgage for $2.5 million on her Greenwich Village townhouses, and a November 2006 loan of $4.7 million on her home in Rhinebeck, N.Y. All told, when Leibovitz did her deal with Art Capital late last year, she owed Condé Nast a total of $6.9 million—nearly half of her $15.5 million in outstanding debts. All of this raises some questions: If the debt on Leibovitz's homes amounted to $15.5 million when she went to Art Capital, why did she seek $24 million from them? She's been sued by creditors, but the amounts—$700,000 or so—are no where near the $8.5 million cushion Leibovitz sought from the deal. And given her $2 million salary, she presumably wouldn't need it to live on. And why was she driven to desperation if half of her money problems—or the ones we know about—came from money she owed to the people who celebrated her and paid her $2 million a year? Was Uncle Si—who's been listening to the advice of McKinsey consultants of late—calling in his generous loans? The smaller of the Rhinebeck loans carried a forgiving 5.4% interest rate. And it's hard to imagine they'd be hounding her for missed payments. Leibovitz owed about $8.6 million to other, not so cozy creditors. That's not a problem we'd like to have, but for someone in her position, it seems like the sort of financial problem that could be managed short of putting everything you own in hock. There are more unanswered questions. Art Capital seems to think it is the sole lienholder for all of Leibovitz's properties, but we can't find a document showing that Condé Nast assigned the $4.7 million mortgage on her Rhinebeck home to them. And it's unclear from the documents whether, when it assigned over the smaller mortgage to Art Capital, Condé Nast was actually paid the balance or simply forgave the loan. We contacted Leibovitz's spokesman for comment, and he referred us to a statement from Leibovitz calling the claims in Art Capital's lawsuit "false and untrue." A spokeswoman for Condé Nast didn't return a phone call, and a spokesperson for Art Capital had no immediate comment. 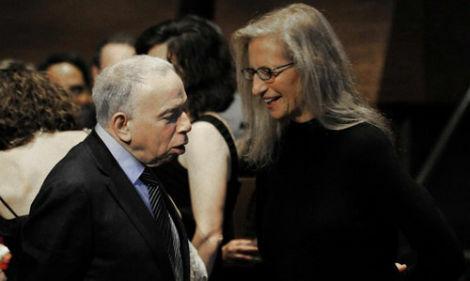 Pic, of Newhouse and Leibovitz at this year's National Magazine Awards, via ASME.